It’s a nightmare that most parents don’t want to consider. They turn around, and their child is gone. Research published in the journal Pediatrics has found that half of all children with autism engage in wandering or elopement behaviors, and many die alone without the ability to answer to their name or call out for help. A Capitol Hill briefing on Autism & Wandering is scheduled for Tuesday, May 19th from 1-2:30 p.m. in Room 485 of the Russell Senate Office Building. We need you to contact your federal elected officials, and ask that they attend. How should you do it, and what should you say? 1) If you don’t know your elected officials’ phone numbers, go to www.senate.gov and www.house.gov and search for their names. 2) Call their offices, and ask for the legislative director, or the legislative assistant who handles criminal justice issues. 3) Give either the legislative director or the legislative assistant the information about the briefing, and tell them why you want your representative there. Tell your story–make it as personal as your comfort level allows. If you have had a child wander, try to relate your experience to the person on the phone. They need to know. 4) Thank them for their time, and ask them again to attend the briefing. 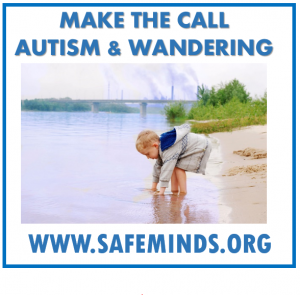 Four of the leading experts on Autism & Wandering will be speaking about the number of deaths happening in the autism community, and the costs already spent on search and rescue efforts. Children and adults who are unable to speak or recognize danger are the most vulnerable citizens in our country. 35 percent of children with autism attempt to wander at least once per week. More than a third of children with autism who wander are never or rarely able to communicate their name, address, or phone number. 29 percent of wandering happens from a classroom or school. We are educating our elected officials on the nature and extent of our problem, so that they can support solutions and work with our community to make sure they are implemented appropriately. Help to reduce the risk of injury and death due to wandering in individuals with autism and other disabilities. Safeguard the well-being of individuals with disabilities during interactions with law enforcement. Provide education and resources to law enforcement agencies, first responders, schools, clinicians, and the public in order to reduce the risk of wandering by such individuals. Help to identify signs of abuse in such individuals. Facilitate effective communication with individuals who have communication-related disabilities. Provide training and emergency protocols for school administrators, staff, and families. Let’s make this a happier, safer year for our families. Safe minds need safe bodies. 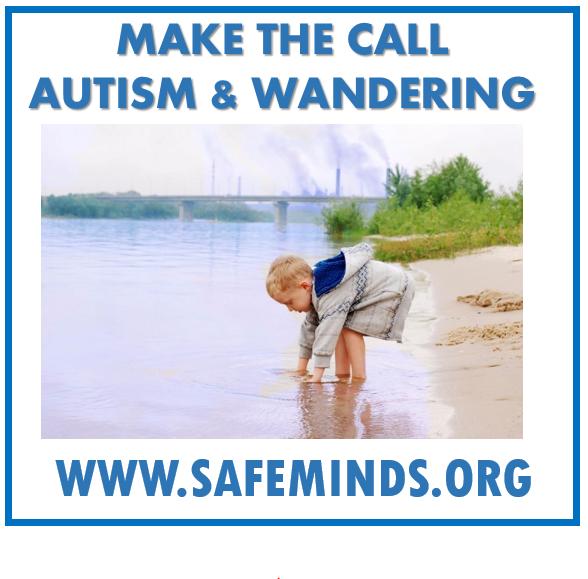 For more information about the legislation, the briefing, wandering & elopement in autism, and the coalition of autism organizations involved in this effort, visit https://www.safeminds.org/advocacy-2/autism-wandering/. 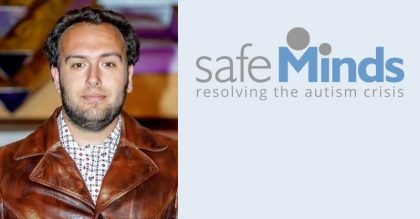 This SafeMinds initiative is part of our Policy and Justice Program. If you’d like to help, please donate to our Policy and Justice Fund.